Melissa Hancock, a former "Little Women: Atlanta" star, was involved in an alcohol fueled collision which killed a U.S. Coast Guard. 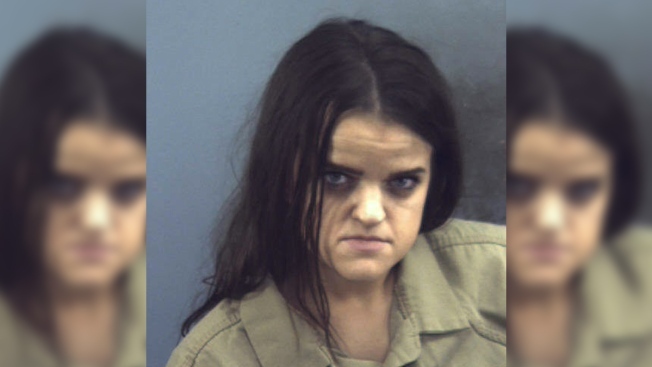 A former reality TV star will serve 16 years in prison for killing a U.S. Coast Guard technician in a drunken wrong-way collision on a Virginia highway. News outlets reported that Melissa Hancock was sentenced Wednesday after earlier pleading guilty to manslaughter, driving the wrong way and failing to obey a highway sign. Hancock appeared on Lifetime's "Little Women: Atlanta," a reality show that focuses on women of short stature. A court summons described Hancock as 4 feet tall and weighing 77 pounds. Daniel Dill was a Logan Township, New Jersey, native who was stationed in Portsmouth, Virginia, as an information systems technician. Virginia State Police said Hancock struck Dill head-on around 2 a.m. Nov. 4 on Interstate 264. He died of his injuries the next day.